Newcastle United have completed the signing of Chelsea star Kenedy. The Brazilian is reported to have undergone a medical at Tyneside on Tuesday as he gets set to join the Magpies on loan for the rest of the reason. Naturally a winger, the 21-year has been used as a left wing-back by Antonio Conte at Chelsea mainly in the cup competitions as back up to Marcos Alonso. His move to Newcastle has been mooted in the press for quite some time but the club has held back their go ahead as they wanted a replacement at left wing-back. However, Conte is now believed to have sanctioned the move as a deal for Roma’s Emerson Palmieri edges closer. Newcastle United boss Rafa Benitez has been calling for new signings at the club and owner Mike Ashley is believed to have loosened the purse strings a little as they look to bolster their squad. 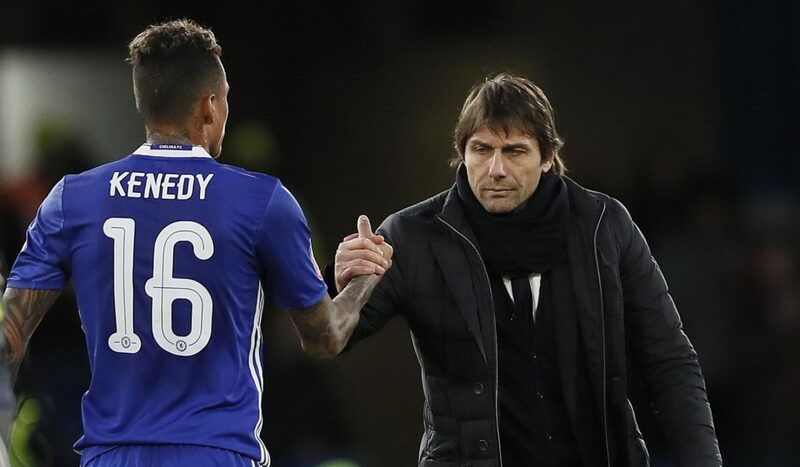 Kenedy has been targeted since the summer but a deal never materialised. Benitez, however, will be pleased as the deal is completed as the former Fluminense youngster will provide the much needed spark and pace needed in his side’s attack that has only 22 goals to its name in 24 Premier League appearances. Kenedy made only one league appearance for Chelsea last season and has failed to make any in the league this season.